It takes a tough man to make a tender beard. To live boldly, you must be prepared to reach beyond the status quo. That’s how a real man does it. Fellas. You can’t just decide to grow hair on your face because you want to. If you’re an African man and you want a healthy beard, you’ve got to put in the effort. More importantly, you need to be conscious about what you put in your beard. It is, after all, on your face and this is where skin tends to be most sensitive. If you’re one of those guys that uses regular soap or shower gel on your face, please just STOP! You need to get yourself some products immediately. There’s no shame in it and trust me, you’ll thank us once you understand how proper grooming can affect your overall appearance. Now, we know it’s easy to overlook beard care. Some of you may look at beard grooming as more of a luxury than a critical aspect of daily grooming. So here are some tips to help you combat the hardships of maintaining healthy facial hair. Will you wake up in 2 days with a beard as full and great looking as NBA player James Harden? Not likely. A majestic looking beard, that stops traffic and evokes oohs and aahs, requires patience and a healthy routine. 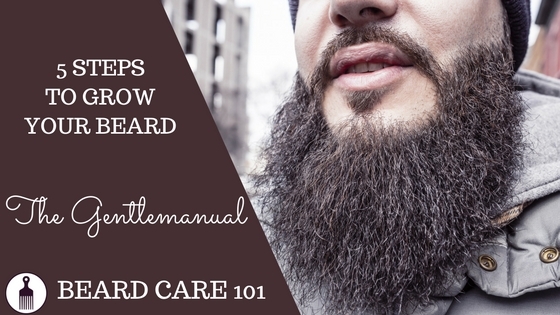 The most important part of beard care is taking care of the skin behind the beard. 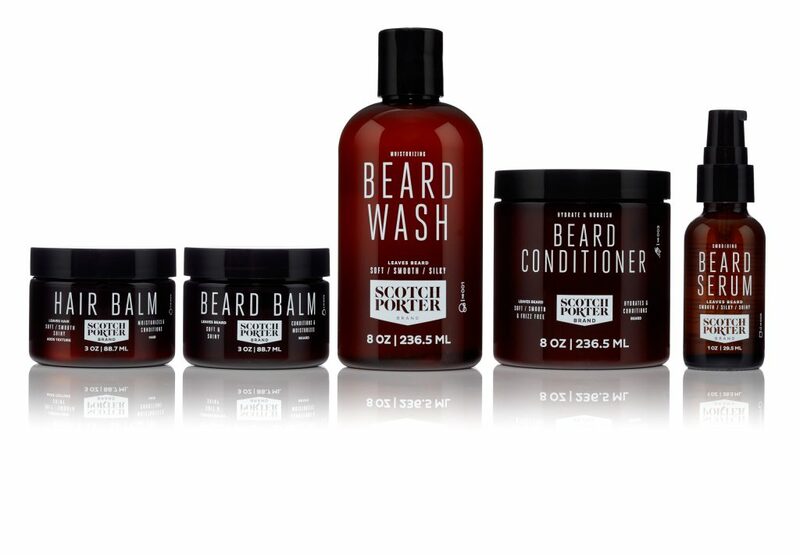 It’s imperative for men to have their own line of products. Many supermarket brands are loaded with alcohols, synthetic compounds and artificial fragrances which irritate the skin, leaving the face dry and facial hair hard to manage. To stop that beard itch that comes with a young beard, a good beard oil is a great investment. Look for more natural and organic products for your face and beard. The ingredients in men’s natural grooming lines work specifically to bring out the best in a man’s hair, beard and skin. If you already have a fuller beard to work with, you may want to consider a great beard conditioner and beard balm to keep your facial hair healthy. These products are enriched with natural oils & butters stimulate hair growth while keeping your skin moisturized, resulting in a softer, healthier beard . The upside here is that beard care doesn’t require you to spend a fortune on tools. All you need is a good brush and a good comb. Depending on your commitment level, maybe you could throw in a pair of scissors and some clippers. A good brush ensures even product distribution, and it also helps create a shiny and fuller looking beard. The trick isn’t to lock yourself in the bathroom for hours at a time. Rather, you should develop a routine that is quick, simple and – above all else – about maintenance, ensuring you don’t let yourself (or your carefully assembled outfit) down with unsightly facial hair. Use simple hacks to save time in the mornings. For example, once or twice a week apply conditioner to your wet beard as you shower and rinse off when done to kill 2 birds with one stone. The steam from the shower will activate the conditioner further softening your beard. Follow this up with some beard oil or beard balm, and you’re golden! Yes, we know the end game is to grow your beard, but trust us, you want to go in every week or 2 with a quick trim. Like all hair, facial hair doesn’t grow evenly. 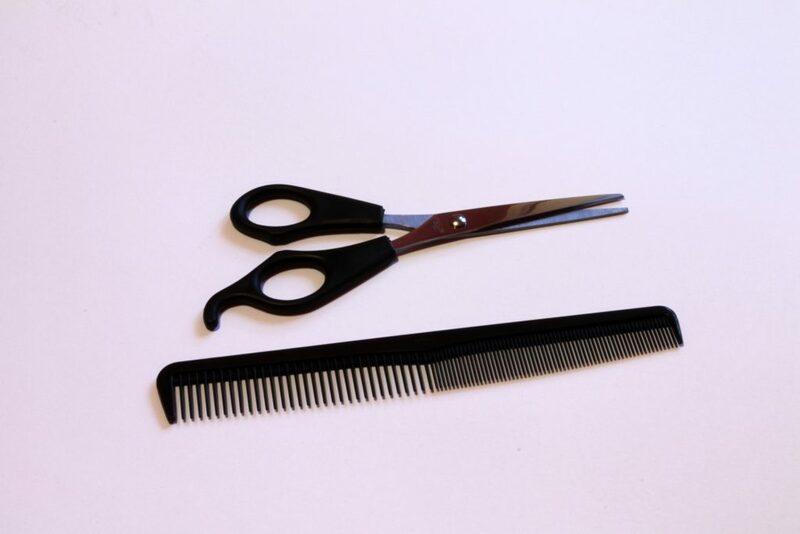 Trimming is essential to a neat, well groomed look. You could either invest in a beard trimmer or just make a trip to your barber to even out your whiskers. DIET: Like all hair, facial hair benefits not only from what you put on it, but also what you put in your body. Foods high in protein and vitamins will boost testosterone production, further improving hair growth. Some great additions to your diet are fish, green leafy vegetables, nuts and olive oil. EXERCISE: Most of us know that workouts increase testosterone levels, but another advantage is improved circulation – which ensures that your blood carries the right nutrients to your hair follicles. Result: enhanced growth! AVOID STRESS & GET SOME ZZZ’s: Finally, stress and lack of sleep affect hormone levels. This weakens the immune system and manifests in various ways including hair loss, breakage and/or shedding. Fortunately, if you’re taking our advice with your diet and exercise, you can minimize the odds of this happening. And there you have it! Growing a beard isn’t rocket science – with the right maintenance and attitude, you can rock a manly beard like the best of them. Just follow the guidelines listed above and watch the magic happen. What has your experience been with growing your beard? We’d love to hear from you!